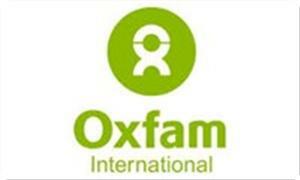 On the 20th anniversary of the Oslo peace accords, Oxfam International said life for millions of Palestinians is worse now than it was 20 years ago, as the government of Israel has expanded its settlements in the occupied territory and increased its control over Palestinian land and lives. Oxfam, an international aid agency, said in a press release, "Since 1993, Israel has doubled the number of settlers from 260,000 to over 520,000 and expanded the area controlled by settlements to over 42 percent of Palestinian land. A system of checkpoints and other restrictions on Palestinian movement and trade has divided families and decimated the economy". The agency warned a similar pattern is already emerging during the current peace talks. In the past six weeks, Israel has approved the construction of at least 3,600 more settlement homes in the West Bank and East Jerusalem and demolished at least 36 Palestinian homes. 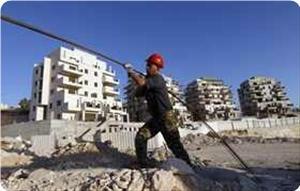 In the past 20 years, Israel has demolished 15,000 Palestinian buildings, including homes, water systems and agricultural facilities. "The hope that the Oslo process brought has come crashing down with two decades of obstruction and broken promises. While parties are negotiating peace, actions on the ground are making the lives of Palestinian civilians in particular ever more difficult, and jeopardizing the chance of reaching a solution. A peace process naturally calls for give and take from all parties, but it is Palestinian civilians who have overwhelmingly paid the cost," said Nishant Pandey, head of Oxfam in the Occupied Palestinian Territory and Israel. Actions over past 20 years have impeded the Palestinian economy to a cost of hundreds of millions of dollars a year. The Gaza economy alone has lost around $76 million annually as up to 35 percent of its agricultural land is prevented from being cultivated, and the government of Israel has reduced the waters available to Palestinian fishermen from the 20 nautical miles agreed at Oslo to just six nautical miles today. Exports from Gaza have dropped by 97 percent since the economic blockade was put in place in 2007. Director of Ahrar Center for prisoners' studies and human rights Fouad Khuffash said the number of those released within the negotiations deals between Ramallah authority and occupation increased to 8,451 prisoners, after the return to negotiations deal in 12 August, 2013. Khuffash issued a documentary study saying that during the 20 years of negotiations 8,425 prisoners were released; along with 26 other prisoners freed in the latest batch after the resumption of the negotiations. The study reviewed the agreements signed in Oslo and their effects and compared them with the Palestinian and Arab swap deals. It stressed that all the agreements have not met the minimum of the aspirations of the Palestinians, including the prisoners and their families, as all veteran prisoners were supposed to be released. Khuffash said: "Any impartial observer or any observer of prisoners’ affairs can note how Israel violates the conventions, and how it has been deliberately fragmenting the issue of the prisoners." 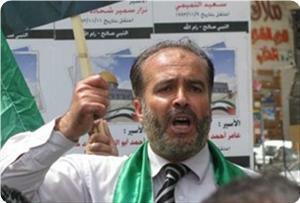 The study reported that since 1985 and after the famous exchange deal of Ahmed Jibril there was no agreement or real deal for the release of prisoners, except for Wafa al-Ahrar deal on 18 October 2011. Thousands of demonstrators took part in mass rallies launched on Friday night from the central governorate in Gaza, in condemnation of the negotiations between the Palestinian Authority and Israel, and in support of Al-Aqsa Mosque. 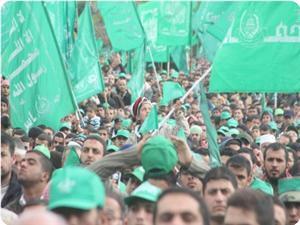 MPs and Hamas leaders headed the marches, in addition to a number of Scouts. 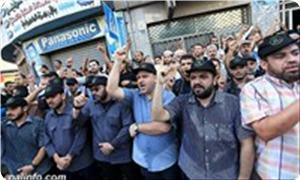 The marchers chanted national slogans supporting the Palestinian resistance, and condemning the bilateral negotiations, which coincide with the 20th anniversary of the signing of the Oslo Accord between the PLO and Israel in 1993. MP Dr. Salim Salama stressed the Palestinian people's rejection of the Accord due to its negative repercussions on the Palestinian cause and the Palestinians in the Diaspora. "We will remain steadfast and the conspiracies against the Palestinian cause and land will not deter us from adhering to our rights and constants", the MP said, pointing out that the Palestinian people will never accept the negotiations "which give up our ancestors' rights and recognize the Israeli entity." The Hamas leader stressed that the Palestinian people and Hamas are still committed to the option of resistance in all its forms, especially the armed resistance, considering it the only way to liberate the land, the Islamic holy sites and the Aqsa Mosque which is always exposed to plots. The Hamas Movement said that de facto president Mahmoud Abbas has no legal and political authority to sign a final peace agreement with the Israeli occupation state. Its spokesman Sami Abu Zuhri told Quds Press on Friday that the attempts made by Abbas, Israel and some Arab countries to use the Arab preoccupation with internal events in order to produce a final peace agreement undermining the Palestinian cause would not succeed. "Mahmoud Abbas legally exceeded his term of office and now he is working within a national consensus, so any violation of this consensus means that Abbas has lost his legitimacy," spokesman Abu Zuhri underlined. "Therefore, Abbas has no right to individually engage in such negotiations, not to mention that he is not entitled to sign an agreement with the occupation," the spokesman added. "The national rights and constants cannot be waived by any Palestinian party or official even if a referendum is held on that because it will be a vote on rights and constants," he stressed. He also emphasized that Hamas and the other Palestinian resistance factions would not allow Abbas and his negotiators to sign any agreement liquidating the Palestinian rights and constants. "There is a Palestinian national consensus on the failure of the Oslo accord and that it has brought a disaster for the Palestinian people. Some people like Qurei, who still believe in Oslo, are isolated from the Palestinian people and do not express the true Palestinian position," he stated. 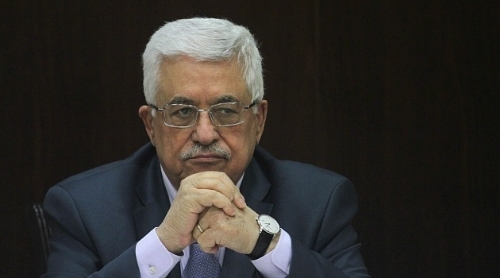 This came in response to Ahmed Qurei, senior executive member of the Palestine liberation organization (PLO), who stated that Abbas is authorized to negotiate with the Israeli side and sign a final peace agreement with it without the consent of the Palestinian people. 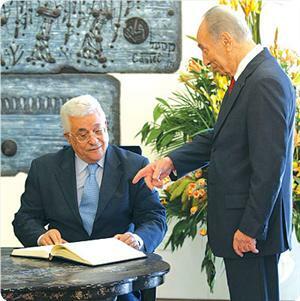 He added that Abbas can make any fateful decrees or agreements with Israel even if his decisions were disapproved by most of the Palestinian people. Qurei made his remarks in an interview conducted on Friday by a Hebrew radio on the 20th anniversary of the Oslo agreement which was signed on September 13, 1993. 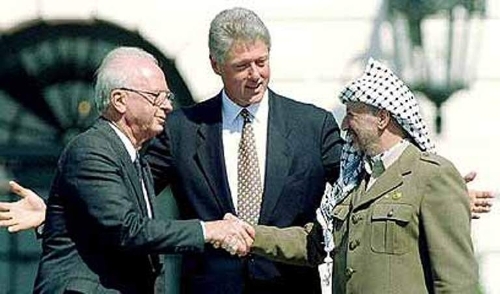 On the 20th anniversary of Oslo Accords, Palestinian factions called for halting negotiations with the Israeli occupation and for restoring resistance option as the sole option for the Palestinian people. 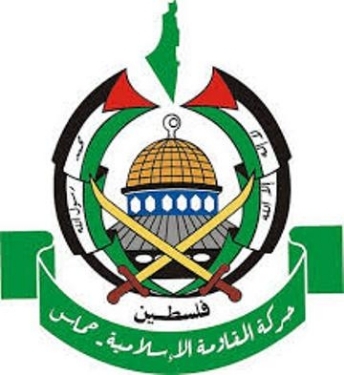 Hamas movement stated that what is built on wrong is wrong in itself in reference to Oslo Accords, stressing that the Palestinian people did and will not abide by the negotiations' results and will never surrender one any inch of Palestine. Hamas called on Fatah movement to stop negotiations that aim to liquidate the Palestinian cause, and called on the Palestinian people in the Diaspora to adhere to their right of return. The Islamic movement confirmed that Jerusalem, with its eastern and western parts and its Islamic and Christian holy sites, is a Palestinian Arab city, stressing its adherence to the Palestinian national constants. Al-Ahrar Movement stated that negotiations had resulted in creating a Palestinian authority that managed to eradicate armed resistance and create a state of division amid the Palestinian people. The movement said that resistance is the alternative to negotiations to restore the Palestinian legitimate rights and the Palestinian people’s unity. 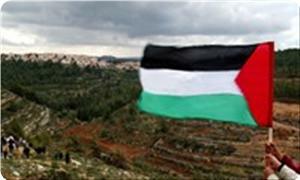 It also called on the Islamic and Arab Nation to bear its responsibility towards the Palestinian people. For his part, Mohammed al-Hindi, political bureau member of Islamic Jihad movement, called on PA to stop negotiations with the occupation saying that it provides a green light to the Judaization projects. Talks' resumption came in parallel with the daily and ongoing Judaization projects in occupied Jerusalem, he said. After twenty years of negotiations, Arab population has dwindled to only 13% of East Jerusalem while it was 100% before Oslo Accords, he stated. He called on the Palestinian factions to unite their efforts in support of Jerusalem, warning the occupation of implementing its schemes to demolish al-Aqsa mosque. In its turn, the Popular Front for the Liberation of Palestine called on PA to withdraw immediately from the ongoing “suspicious” negotiations, stressing the need to implement the national reconciliation and to end the internal division. U.S. Secretary of State John Kerry will travel to (occupied) Jerusalem on Sunday for discussions with Israeli Prime Minister Benjamin Netanyahu on Middle East peace talks as well as on Syria, the State Department announced on Friday. "The purpose of the visit is to have an in-depth discussion with the prime minister on the final status negotiations between the Israelis and Palestinians," State Department spokeswoman Jen Psaki said. "They will also focus on developments in Syria." 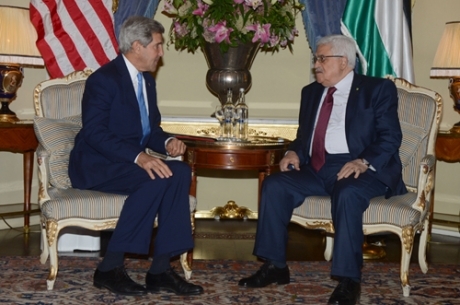 Kerry met Palestinian President Mahmoud Abbas in London on Monday. He is currently in Geneva, holding talks with Russian Foreign Minister Sergei Lavrov on Syria's chemical weapons programme. The U.S. Secretary of State was also to travel to Paris on Sunday, for meetings on Monday with the foreign ministers of France, the United Kingdom and Saudi Arabia, Psaki said. He was due to return to Washington on Monday. The ministry also called for a stand in the face of Judaizing occupied Jerusalem and obliterating its Islamic and Christian landmarks, warning of passing such plans through so-called peace talks. It stressed the need to resist this agreement intellectually and culturally with the efforts of Palestinian intellectuals and writers. Thanks to this agreement, negotiations are still grinding the Palestinians and devour the land; its statesmen and engineers of the Palestinian Authority (PA) and Palestinian Liberation Organization (PLO) are still roaming the political space of Palestine in vain. Oslo was the first face-to-face agreement between the Israeli occupation and the PLO under which the PLO granted (Israel) 78% of historic Palestine. According to Said, the PLO’s recognition of Israel by virtue of the Oslo Agreement granted Israeli control over the territories it occupied during the 1967 war, and further allowed Israel the right to negotiate on the remainder of the territories that it annexed by power during the Six-Day War. Islamic Jihad Movement warned of Israeli Judaization schemes targeting Jerusalem and al-Aqsa mosque in conjunction with the re-launch of the futile negotiations. Thousands marched on Friday in a demonstration organized by Jihad movement in protest against the ongoing Israeli Judaization plans in the holy city of Jerusalem. Mohammed al-Hindi, a political bureau member of the movement, called on PA to stop negotiations with the occupation saying that it provides a green light to the Judaization projects. Talks' resumption came in parallel with the daily and ongoing Judaization schemes in occupied Jerusalem, he said. He called on Palestinian factions to unite their efforts in support of Jerusalem, al-Hindi said, warning the occupation of implementing its schemes to demolish al-Aqsa mosque. 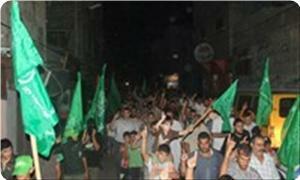 President Mahmoud Abbas said Wednesday that he hoped negotiations with Israel would end successfully. 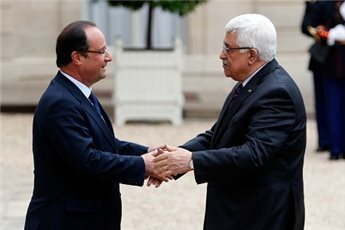 At a meeting with French president Francois Hollande, Abbas updated him on the latest events of the peace process. He also reiterated the importance of Palestine and France's bilateral relations and cooperation. US Secretary of State John Kerry will travel to Jerusalem Sunday to hold talks with Israeli Prime Minister Benjamin Netanyhau on the progress made in the Middle East peace talks and Syria, a US official said. The two men will discuss "the final status negotiations between the Israelis and Palestinians, following on the secretary's meeting with President Mahmoud Abbas in London last Monday," State Department spokeswoman Jen Psaki said. Hamas said that the Oslo accords and other agreements with the occupation are void, because the Palestinian people will never accept to give up any part of Palestine and its holy sites and their legitimate rights. The movement said in a statement on Thursday on the twentieth anniversary of the Oslo Accords: "The Zionist enemy succeeded through this agreement to make the PLO explicitly recognize its full right to seize 78% of the historical land of Palestine. " The Israeli occupation used twenty years of negotiations to change the demographic and geographical features in the West Bank and Jerusalem by building the settlements and the wall, the movement added. 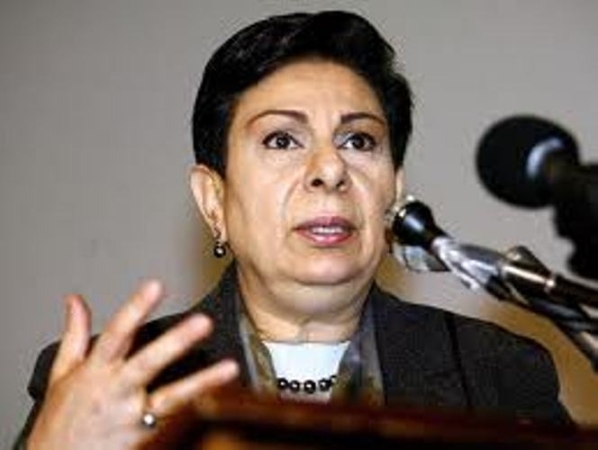 It pointed out in its statement that the moves taking place recently would lead to a political disaster, as the Palestinian Authority, with the help of the Israelis, the Americans and some Arab regimes is working on silencing the voice of the people, tightening the blockade on Gaza, and discrediting the resistance. Hamas condemned the return to the negotiations and the security coordination with the occupation, that aim to liquidate the Palestinian cause, and called on Fatah to end the negotiations and normalization with the occupation. It also called on the national factions and the Palestinian social forces to form a national coalition to confront the catastrophic results of the negotiations and to establish a comprehensive national vision based on adherence to the people rights and constants, liberating the land, and achieving the right of return. The movement demanded the Palestinian people at home and in Diaspora to reject the resettlement project and to unite their ranks in order to achieve their right of return. 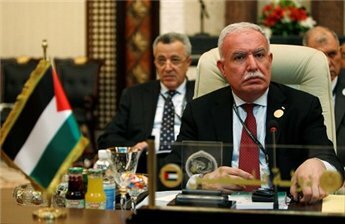 It stressed in its statement that Jerusalem will always remain a Palestinian Arab city, warning the occupation of the consequences of its persistent criminal procedures against Jerusalem, the holy sites and the Jerusalemites. 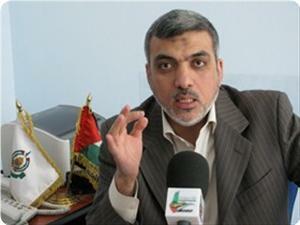 Hamas also demanded the lifting of the unjust siege imposed on the Gaza Strip. PLO Negotiations Affairs Department issued on Thursday, a new fact sheet entitled "Twenty Years of Oslo". The sheet also includes a speech by PLO's chief negotiator, Saeb Erekat. 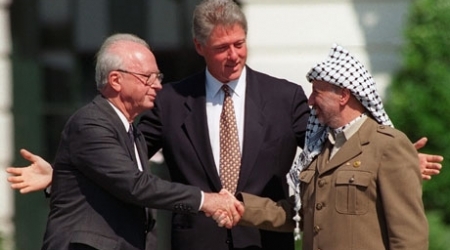 'Twenty Years have passed since the celebrated Arafat-Rabin handshake on the White House lawn. Twenty years have passed since the establishment of the Palestinian National Authority. Twenty years have passed since the formal start of the peace process. This year marks twenty years of shattered hopes and unfulfilled obligations, of promises betrayed and an illegal colonization process that not only continues to intensify, but has inched us ever closer towards permanently ending any hope for a peacefully negotiated two-state solution. To maintain the security of these settlements and to feed their large appetite for Palestinian land, Israel built an intricate system of control and subjugation: hundreds of checkpoints were placed and dotted across the West Bank, segregated bypass roads were constructed for settler use only, separate legal systems for settlers and Palestinians were maintained, and an annexation wall was built, eating-up a further 9% of West Bank. This publication spells out how the Oslo process metamorphosed into a process of colonization, taking us ever further from a just and lasting solution to this conflict. Hamas said that the Oslo accords and other agreements with the occupation are void, because the Palestinian people will never accept to give up any part of Palestine and its holy sites and their legitimate rights. The movement said in a statement on Thursday on the twentieth anniversary of the Oslo Accords: "The Zionist enemy succeeded through this agreement to make the PLO explicitly recognize its full right to seize 78% of the historical land of Palestine. " 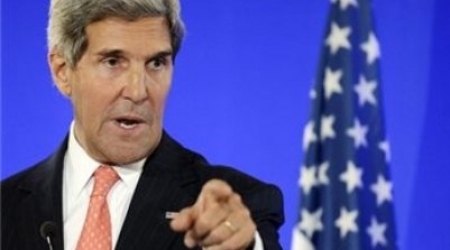 US efforts to activate peace process, will they succeed? The US administration has managed to re-activate peace talks between the PA and the Israeli authorities after waiving the Palestinian condition to stop settlement activities. Resumption of talks came in coincidence with Egypt's military coup and the escalated incitement against the "Arab Spring" and "political Islam". There are three possible scenarios at this current stage. First scenario would lead to a final agreement that states the establishment of a Palestinian state in West Bank and Gaza in return of waiving the right of return and land exchange with Jerusalem as shared capital city. Second scenario would lead to a partial temporary agreement that states delusive achievements to all parties. The third scenario would be the negotiations' failure. The Israeli entity represents the US cornerstone in the region, thus they enjoy strong strategic, economic and military relations with cultural and historical backgrounds. Therefore, the US administration works to provide a cover for the Israeli crimes and violations against the Palestinian people. The US administration seeks to liquidate the Palestinian issue by registering more Palestinian and Arab concessions to reach a peaceful settlement. -The ongoing developments in the region and the instable situation of the Arab countries that would negatively affect the Palestinian cause. -The seriousness of the American administration to reach a comprehensive and final peace agreement between Palestinians and Israelis. -The concessions submitted by both parties. -The US pressures on both parties to ensure success of the preliminary meetings. 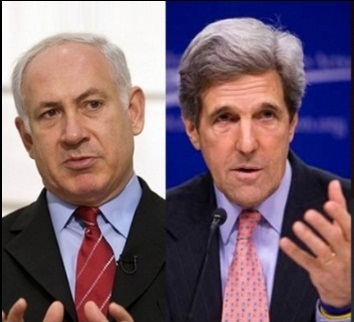 -The Palestinian and Israeli ability to convince their peoples of the concessions they made. -The two parties' ability to override the internal and regional obstacles. Since the beginning of Obama's first term, US administration has sought to achieve a comprehensive peace process but the Israeli intransigence to stop settlement construction suspended US efforts. However, the US efforts managed to convince the Palestinian negotiator to waive the condition to stop settlement activity. On the other hand the Israeli negotiator has released 104 prisoners detained before the Oslo Accord. The PA decision to resume negotiations came in light of the internal division and freezing the reconciliation process, in addition to an instable Arab and Islamic situation and international inappropriate atmosphere that would be in favor of the Israeli authorities. Meanwhile, the Israeli authorities enjoy a state of stability where settlement activity is continued and escalated in West Bank and Jerusalem without any obstacles where settlers' number has increased by 2.19% during the first half of 2013. They discussed the latest updates on the Israeli-Palestinian peace process and reinforced bilateral relations between Britain and Palestine. Hussein Abu Kuweik, a Hamas leader in the West Bank, has said that the PA negotiations process with the Israeli occupation authorities (IOA) had completely failed. He said that over 20 years of negotiations nothing positive had emerged, wondering why Fatah and the PA in Ramallah were adamant on pursuing that path. Abu Kuweik told the PIC on Wednesday that all senior negotiators had admitted that the negotiations were going nowhere. He said that the Palestinians were wondering why was Israel permitted to stop negotiations whenever an Israeli was killed or a commando operation was launched irrespective of understandings and agreements. At the same time, PA leaders continue in the negotiations regardless of daily attacks on Palestinians, Judaization, settlement activity, and storming of the Aqsa, the Hamas leader underlined. Non-stop Israeli government settlement activities, Judiazation of Jerusalem and attacks against Palestinians are premeditated and will lead to the destruction and failure of negotiations, the Ministry of Foreign Affairs said Monday. A statement by the ministry strongly condemned what it described as Israeli aggression, and expressed surprise at the silence of the Israeli community and peace activists toward their government’s aggression against and occupation of another people and land. It held the Israeli government fully responsible for these violations and serious provocations warning of their negative impact on the whole region. Foreign Minister Riyad Malki said Monday that the United States and President Barack Obama personally may get more involved in the Palestinian-Israeli peace negotiations in order for the talks to achieve their goal by their target date. Arab foreign ministers from Egypt, Saudi Arabia and Qatar, and Malki, met US Secretary of State John Kerry in Paris on Sunday to discuss progress in the peace talks. Malki, who described on Voice of Palestine the meeting with Kerry as held in “positive and frank atmosphere,” said the next meeting with Kerry will take place in October. Kerry did not speak about progress in the talks as much as he spoke about “overcoming the difficulties” facing them, said Malki. He said Obama may personally get involved in the peace process if it becomes necessary to give negotiations a boost. 'At some stage, the US president will directly follow up these negotiations,' said Malki.He said the Arab ministers complained to Kerry about Israeli settlement construction in the occupied territories and its violations and demanded a bigger role for the US administration in the negotiations. 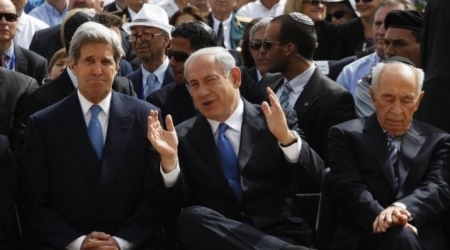 Kerry said he was following all these complaints with the Israeli government, said Malki, adding that Kerry told them not to despair and that there was still time to make progress, stressing US commitment to the talks to reach a final resolution within the nine month target date. 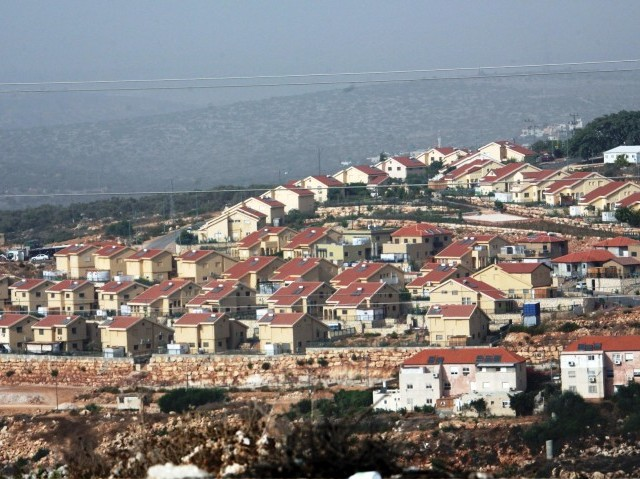 Israeli authorities began to construct a new settlement on Palestinian-owned land between the villages of Kufr Deik and Deir Ballout, west of Salfit. Witnesses said that Israeli bulldozers have started to prepare the land in that area for the building of new settler homes. 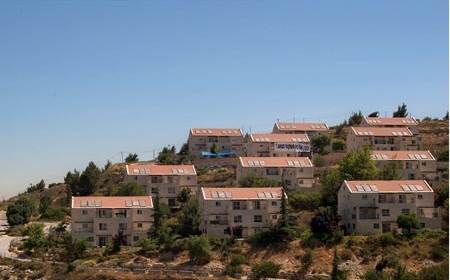 Israel's Construction and Planning Minister Uri Ariel announced a few days ago that the milestone of a new settlement west of Salfit has been laid, which will be called "Leshem". It's worth mentioning that Salfit Province includes 18 Palestinian villages and is surrounded by 23 Israeli settlements, including 'Ariel', one of the largest West Bank settlements. US Secretary of State John Kerry said Sunday that Israel and the Palestinians are determined to push forward with peace talks. 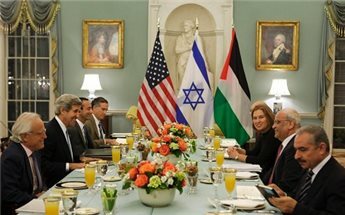 "Despite tough decisions that have to be made and despite pressure that exists on both sides... both the Palestinians and Israelis have remained steadfast in their commitment to continuing the talks," Kerry said in Paris after a meeting with Arab League officials. Ahead of talks with President Mahmoud Abbas in London later Sunday, Kerry also said he planned to meet Israeli Prime Minister Benjamin Netanyahu "shortly" to discuss peace efforts. In regards to the talks with Arab League officials, Kerry said: "We all of us agreed that a final status agreement is important in enhancing regional security and stability throughout the Middle East." Direct talks between Israel and the Palestinians resumed on July 29, after Kerry shuttled between Jerusalem, the West Bank and Amman for several months seeking to end a three-year stalemate in the negotiations. The two sides have since met three times in August and in early September in Jerusalem. In line with Kerry's desire to keep the details of the negotiations secret in order to give the process a chance to work, little has leaked about the talks. 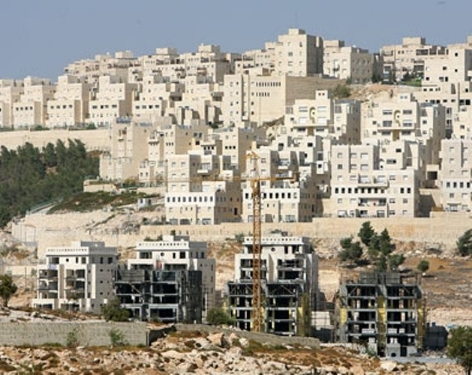 Ahead of the first bilateral meetings in Jerusalem on August 14, Israel announced plans to build more than 2,000 Jewish settler homes on Palestinian territory, in a move that angered Palestinian negotiators. The Palestinian News & Info Agency (WAFA) has reported that Palestinian President, Mahmoud Abbas, met in London, on Sunday evening [September 9 2013], U.S Secretary of State, John Kerry, and discussed the political process and the situation in the region. Chief Palestinian Negotiator, Dr. Saeb Erekat, member of the Central Committee of the Fateh movement, Mohammad Eshtayya, Presidential Spokesperson, Nabil Abu Rodeina, Diplomatic Affairs Adviser, Majdi Al-Khalidy, and Palestinian Ambassador to the UK, Manuel Hassasian, also attended the meeting. 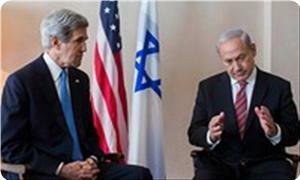 U.S Envoy, Martin Endyk, and US Consul General in Tel Aviv, Michael Ratney, accompanied Kerry. Following the meeting, Abu Rodeina told WAFA, that following the meeting with Kerry and the accompanying officials, Abbas and Kerry held another closed, extended, meeting that discussed details on peace talks and the means to deal with issues that are likely rise in future talks. The Palestinian government in Gaza said the occupation authorities are using the negotiation process as a cover to impose a fait accompli on the occupied city of Jerusalem and Al-Aqsa Mosque. Unit of Jerusalem Affairs in the Ministry of Interior said in a press statement: "The occupation seeks to implement its project that aims to displace the Muslim Palestinian people from the holy city in order to turn it into a Jewish city, demolish Al-Aqsa mosque and build the alleged temple on its ruins." It denounced the occupation's daily vicious attack on the holy sites in Jerusalem, especially the Al-Aqsa Mosque. The unit of Jerusalem Affairs condemned the raids by settlers and Jewish rabbis in Temple costume in the Al-Aqsa Mosque under the protection of elements of special police units. It also condemned the arrest of Sheikh Raed Salah, head of the Islamic movement in the 1948 occupied territories, on charge of his positions defending the Al-Aqsa Mosque. It urged the Arab and Islamic nations and the free world to confront this vicious attack and support the steadfastness of Jerusalemites against the Judaization projects. A Palestinian official, speaking on the condition of anonymity, said that Israel insists on only discussing security issues on the ongoing peace negotiations, Chinese news agency reported. 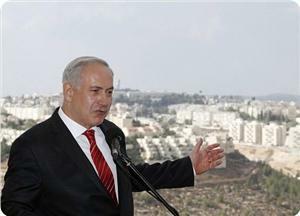 The official said Israel had presented 17 points reflecting its position on the security arrangements. He added that in the course of the talks, a dispute broke out over the Palestinians' refusal to accept any Israeli military presence within the Palestinian state. Israeli delegation demanded that crossings and borders with Jordan remains under Israeli control, in addition to the Jordan Valley. PA must keep alarming systems on the mountains of West Bank, media sources said. The Palestinians rejected the proposal and said they wanted first to reach an agreement that the Palestinian state would be based on the 1967 lines and then discuss the stages of establishing that state. Israeli negotiator Yitzhak Molcho complained to the United States over the weekend regarding media 'leaks' by Palestinian officials, Israeli daily Haaretz reported Sunday. Molcho reportedly protested to US envoy Martin Indyk that statements made to the media by senior Palestinian officials "violated all the agreements" made with US Secretary of State John Kerry. 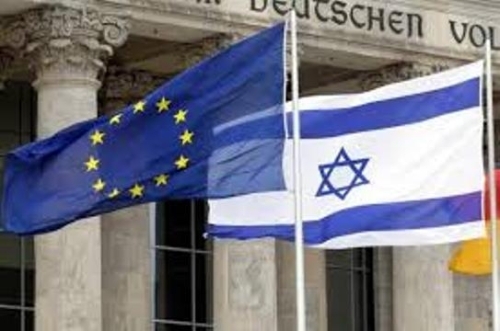 Israeli and Palestinian negotiating teams had reportedly agreed not to report the content or dates of their meetings to the media, Haaretz reported. However, several senior Palestinian officials have spoken candidly about how negotiations, and above all Israeli proposals, have so far failed. On Thursday, senior Fatah official Nabil Shaath told Ma'an that "Israel has not proposed anything so far, over a month and a half since peace talks have been resumed." Shaath said that Israel had showed no flexibility regarding the issue of a Jewish state and its control over the Jordan Valley, with some Israeli negotiators even suggesting talks begin from scratch. "Israel has not proposed anything on the topics which should be discussed, and it's too early to give judgements about the outcome of talks. We will wait and see," he added. The PLO is adamant about continuing negotiations but will not agree on interim solutions, fearing that they would "buy Israel enough time to fill open areas with settlements." "The Israeli side does not recognize any of the agreements signed previously including Oslo and the Road Map plan which the Palestinian side has fully implemented," he added. Israel wants the US to remain as its ally and not as a mediator in talks, which is why Israel opposes the presence of US envoy Martin Indyk during sessions, Shaath said. He highlighted that the Indyk has only attended one session. Secretary General of the PLO Executive Committee, Yasser Abed Rabbo, said last week that there had been no progress in peace talks, while a senior Palestinian official told the AP that Israel had proposed a state within temporary borders on 60 percent of the West Bank. An Israeli official told Haaretz that the leaks from the Palestinian side were incorrect. 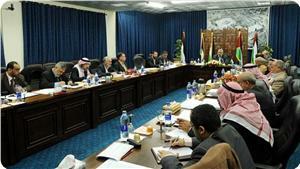 Palestinian and Israeli negotiators on Wednesday held a second round of negotiations in Jerusalem. President Mahmoud Abbas will visit Britain on Sunday to kick-off a European tour which will include a stop in France. Abbas is expected to meet with British Prime Minister David Cameron and foreign secretary William Hague. "As the Foreign Secretary has repeatedly said, there is no more urgent UK foreign policy priority than resolving the Israeli-Palestinian conflict, and 2013 is a crucial year for progress," the British Consulate in Jerusalem said in a statement. 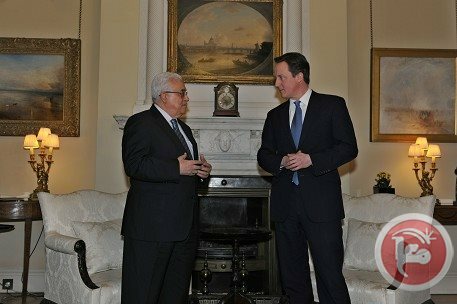 While in London, Abbas will also meet with US Secretary of State John Kerry to discuss the peace process. On Thursday, he is expected to visit Paris to meet with France president Francois Hollande. The president will be accompanied by his spokesman Nabil Abu Rudeina, his diplomatic consultant Majdi al-Khaldi, PLO negotiator Saeb Erekat and Fatah Central Committee member Mohammad Shtayyeh.